Whether you're cooking up keto meatballs or a quick and easy one-pot recipe, ground beef is a budget-friendly meat that everyone enjoys. Here are 20 keto ground beef recipes to jump-start your weekly meal planning session. 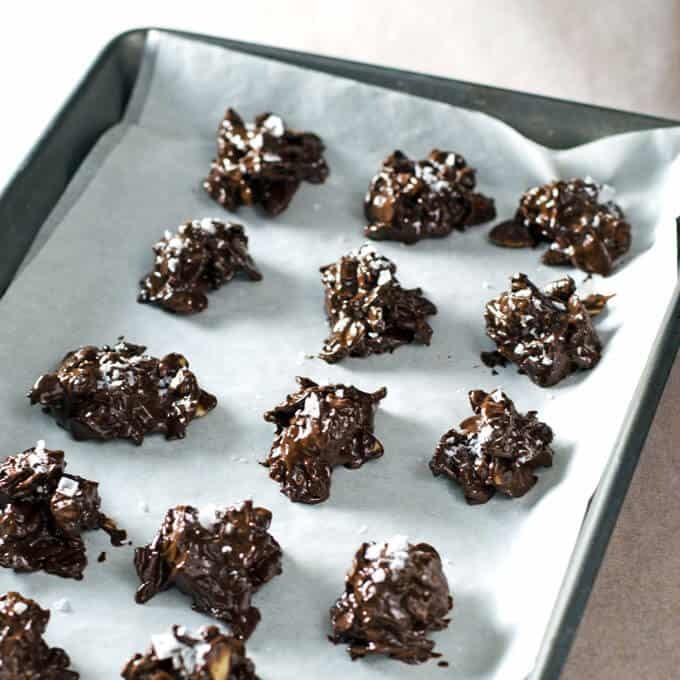 They are all paleo and gluten-free, and many are Whole30-friendly as well! There are some nights when you just need to get dinner on the table fast. Really fast. And when those rush-in-and-out-the-door nights pop up, reach for these keto ground beef recipes. Ground beef cooks quickly and it's so versatile. Perfect for lightening fast weeknight dinners! Of course, there are more reasons to love cooking with ground beef than its versatility and quick cooking time. It's easy to pack up for storage in the freezer — you can safely keep it frozen for between 3 to 4 months without any noticeable changes in taste or texture. I like to stock up when I find a great deal, so I always have some ground beef ready when the occasion strikes. This post contains affiliate links. For more info please read my full disclosure statement here. Speaking of great deals, ButcherBox is offering an incredible promotion just for Cook Eat Paleo readers. You can get free bacon and $15 off your first delivery here (while supplies last). As I've previously mentioned, ButcherBox is my favorite online meat delivery service, especially for organic grass-fed beef. They also offer a wide selection of free-range organic chicken and heritage-breed pork. Humanely raised without any antibiotics or hormones. Everything I've ordered has been delicious — top quality at affordable prices. And it's delivered right to your doorstep! Yes, of course, you could also source high-quality organic meats from your local butcher. But for those that don't have a local butcher or are tired of struggling to find top quality organic grass-fed beef? ButcherBox is the perfect choice. It's delivered frozen so you can stock your freezer and always have ground beef on hand for those last-minute meals. Pro tip: you can thaw ground beef in a bowl of cold water in about 30 minutes. Or if you're planning ahead, just move it to the refrigerator to thaw the day before. Cooking ground beef is generally straightforward, though there are a few tricks to keep this budget-friendly meat tasting it's best. Try cooking your ground beef with a little bit of oil — about 1 to 2 teaspoons. This encourages better browning and help keeps the ground beef from sticking to your pan. Make sure your pan and oil (if using) are brought up to temperature over medium-high heat before adding your meat. This helps ensure your meat browns properly. Use a spatula or wooden spoon to break your meat into large pieces, but try not to stir too often or break into very small pieces. Those smaller pieces allow more moisture to evaporate during the cooking process and encourages steamed meat instead of even browning. Your ground beef is fully cooked when there are no pink pieces left in the pan. This will take about 7 to 10 minutes per pound of meat. Keep these easy tips in mind and you'll be well on your way to perfectly browned ground beef in no time! 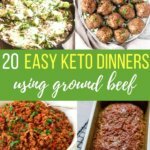 Whether you're looking for meatloaf, meatballs, chili, one-pan skillets, soup, or just some great meal prep and dinner ideas, these keto ground beef recipes offer something for everyone. Classic comfort foods with a healthy spin — what could be better! A low carb version of the family-friendly comfort food, keto meatloaf is an incredibly easy weeknight classic. Minimal prep time for the win! 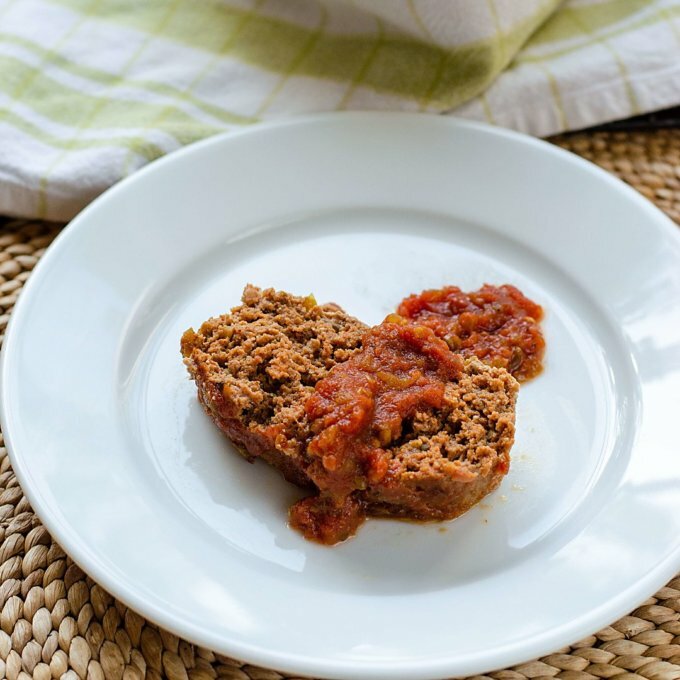 This easy keto meatloaf recipe can be thrown together in just a few minutes. This recipe is also paleo and Whole30 and uses paleo pantry staples. This is a great low maintenance solution for busy weeknights when you don't feel like chopping or pre-cooking veggies. 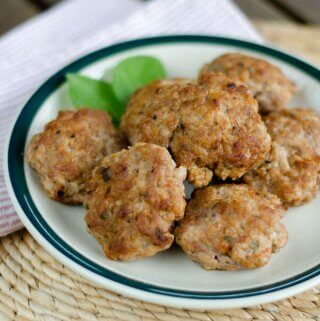 And the recipe can also be made with ground turkey for more easy meal options! These keto meatloaf minis are made with ground beef and use pork panko as a low carb meatloaf binder. Because they're made in a muffin tin, they are pre-portioned. This would be a great choice for make-ahead meal prepping keto lunches or party appetizers. 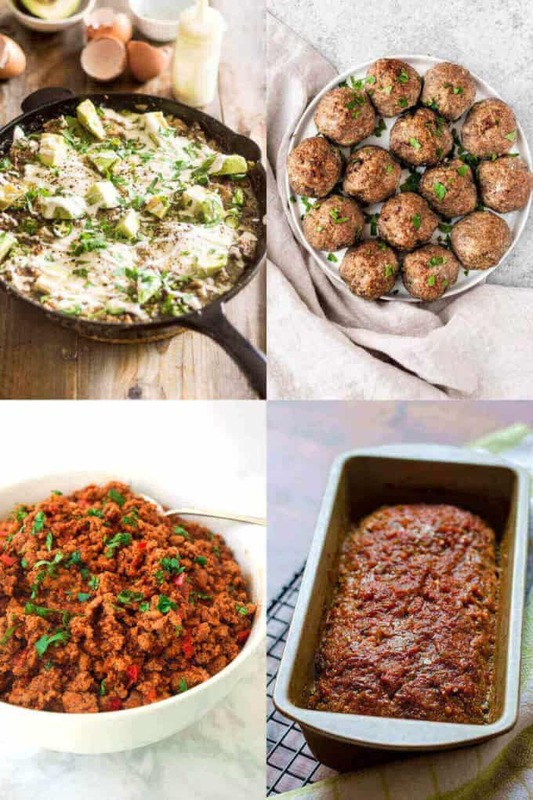 Seemingly simple but oh so delicious, these keto meatball recipes are both quick and versatile! Perfect for fast dinners or meal prepping in advance. I think these Thai-inspired keto meatballs are going to be your new favorite meal. This speedy recipe takes just 20 minutes from start to finish. Serve these keto and paleo-friendly meatballs in a bowl of warm coconut broth alongside your favorite side dish (my vote is for cauliflower rice!). This is the versatile meatball that you'll want to keep in your arsenal of staple recipes. These are a great addition to meal prep sessions — they store beautifully in the fridge and freezer. Try serving this low-carb, paleo, Whole30, and keto recipe alone as an appetizer, or alongside some spaghetti squash noodles for a healthy “pasta” dinner. These keto chili recipes are a meat lover's paradise. They're full of delicious veggies and ground beef — but without any beans in sight! This easy keto chili recipe is delicious no matter whether you cook it in the slow cooker or in your Instant Pot. In as little as 50 minutes (or roughly 6-8 hours if you're slow cooking) you can have this classic chili on the table. This recipe is also freezer-friendly — perfect for healthy meal prepping! This healthy keto chili comes together in a flash thanks to your handy Instant Pot. 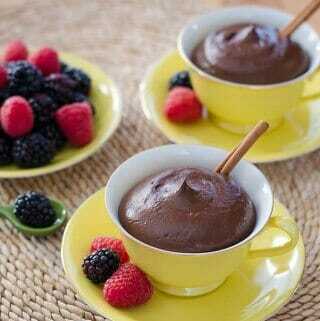 In just 35 minutes you can go from raw ingredients to fully scooped and served up. And this easy weeknight dinner is Whole30 and paleo-friendly. I think this would also be a great addition to any game day spread! Speaking of low maintenance, this keto chili is the perfect match for you if you want to skip the hassle of chopping veggies. This easy ground beef recipe is low carb, paleo, gluten-free and super quick to whip up. And it's also incredibly versatile — try stuffing it into mini sweet peppers as a tasty snack. One-dish recipes are top of the list when it comes to selecting quick and easy weeknight meals. These easy keto ground beef recipes deliver on both simplicity and taste! This gluten-free, low-carb meal is perfect for either lunch or dinner. Coming together in just 30 minutes, this ground beef veggie skillet is the perfect showcase for fresh spring and summer vegetables. Bring on the asparagus and zucchini! 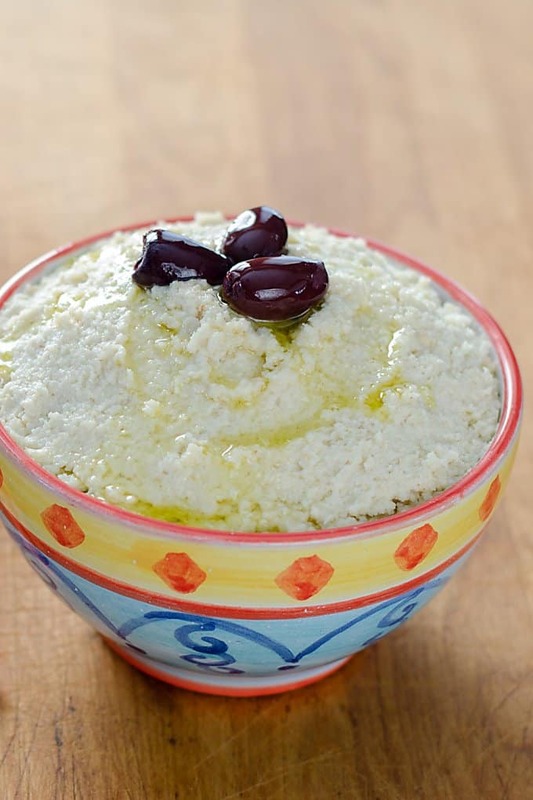 Skip the feta cheese garnish to keep it paleo-compliant. This is a quick keto, paleo, and Whole30 meal for one with a not-so-common surprise ingredient — King Oyster Mushrooms. Of course, regular mushrooms will also do the trick, but this is a fun way to try this variety (especially if you've never cooked with them before). Top with crispy lardons for extra crunch and flavor. In just 15 minutes you could have this paleo, low carb and keto-friendly meal on the table. Have you ever imagined dinner being that easy? I love how the spicy and sweet flavoring elevates budget-friendly ground-beef into a delicious and healthy meal. Try serving it topped with green onions over cauliflower rice. This paleo and keto ground beef skillet is an attractive one-pot dish that's quick and easy to pull together. It can be on the table in less than 30 minutes and doesn't need any side dishes. It's a stand-alone healthy meal that's perfect for any night of the week. This quick and easy ground beef skillet is a tasty weeknight dinner no matter whether you're keto, paleo or Whole30. The recipe's simplicity allows the flavors of the eggplant and tomato to shine. Try serving this budget-friendly one-dish wonder solo or alongside a serving of cauliflower rice. Here are a handful of easy keto recipes to keep in your back pocket for homemade lunches and quick meal prep sessions. This keto hamburger soup recipe is paleo and Whole30-friendly, and it's most certainly very delicious. Imagine all of the tasty flavors of a hamburger rolled up into one bowl! 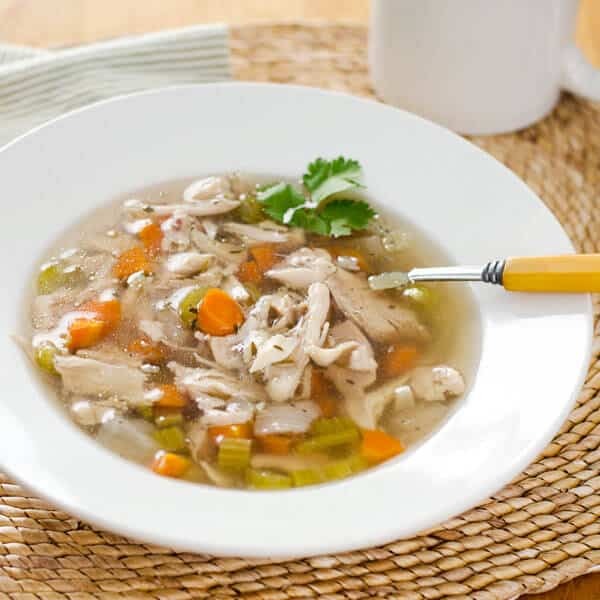 This hearty soup is sure to be a new favorite around the lunch or dinner table. This keto recipe bundles all of the delicious cabbage roll flavors into a delicious soup. This recipe makes a large batch, so it's perfect for weekly meal prep sessions. I love that it also freezes and reheats well — that makes this paleo and Whole30-friendly recipe even more versatile. Try stocking the freezer with this soup for fast meals! Taco Tuesday just got a whole lot easier with this easy keto Instant Pot recipe. This is the clean version of your family's favorite taco meat. It's versatile and would be perfect for meal prepping in advance. Why not also try using this to make a giant taco salad or Mexican layered dip. Perfect for feeding a crowd! These yummy cumin spiced beef wraps are a low carb, keto and paleo dish that's ridiculously quick and easy to whip up. In less than 30 minutes you can have this delicious one-dish meal ready to serve. Perfect for busy weeknights — no side dishes required! Who else loves an easy, fail-proof dinner recipe? If you answered “yes” then you're in luck. This quick and easy keto hamburger bowl is the perfect choice. It comes together in about 20 minutes and perfectly suited to a wide variety of healthy eating diets — it's paleo, gluten-free, dairy-free, keto and Whole30. These easy keto dinner ideas are a great choice for busy weeknights, no matter whether you're looking for a healthy version of your favorite burger or crave the more complex flavors of South American cuisine. This Colombian dish takes a mere 35 minutes from start to finish. It's as impressive as it is tasty! These stuffed zucchinis are low-carb, keto, gluten-free, dairy-free, paleo and Whole30. They're a quick and easy keto dinner idea no matter which healthy eating lifestyle you follow. This Cuban-inspired recipe is delicious served over cauliflower rice with a quick coleslaw or side salad. This recipe is perfect if you're looking for something quick and kid-friendly. It's also dairy free, gluten free, low carb, paleo and Whole30. Even better, the leftovers are an easy choice for brown bag lunches and it freezes well for make-ahead meals! Just because you're skipping the bun doesn't mean you're skimping on flavor! This bun-less low-carb burger is the perfect meal when you're craving the classic dish. Ready in under 20 minutes, this keto ground beef recipe is quick and easily personalized with your favorite toppings! Whether you're looking for a budget-friendly healthy meal or a quick and easy weeknight dinner, these keto ground beef recipes are the perfect choice. Getting dinner on the table has never been easier!